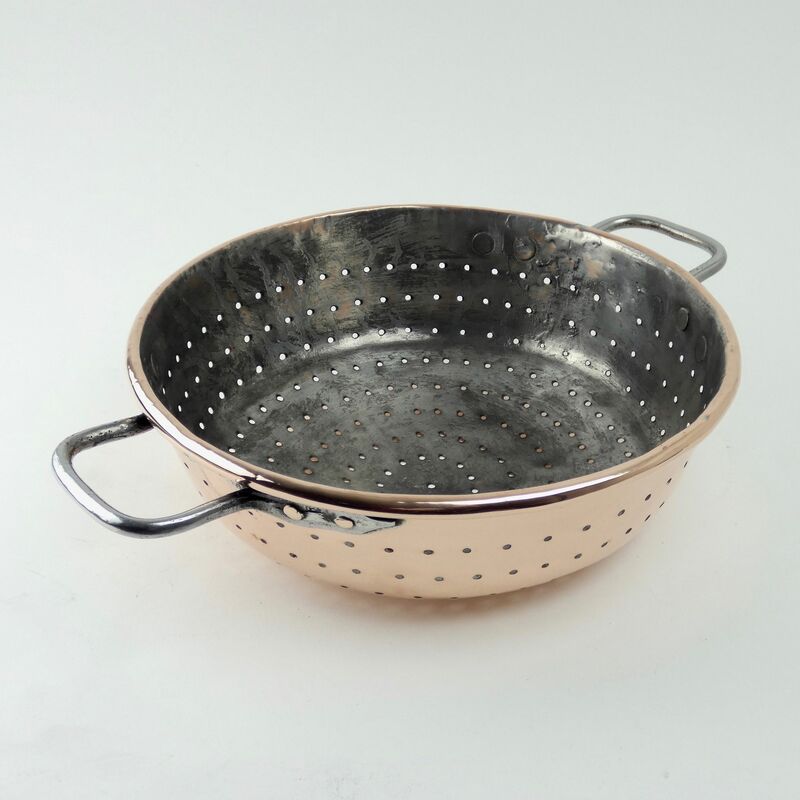 An early 19th century, French copper colander. This piece is made from quite a substantial gauge of copper. 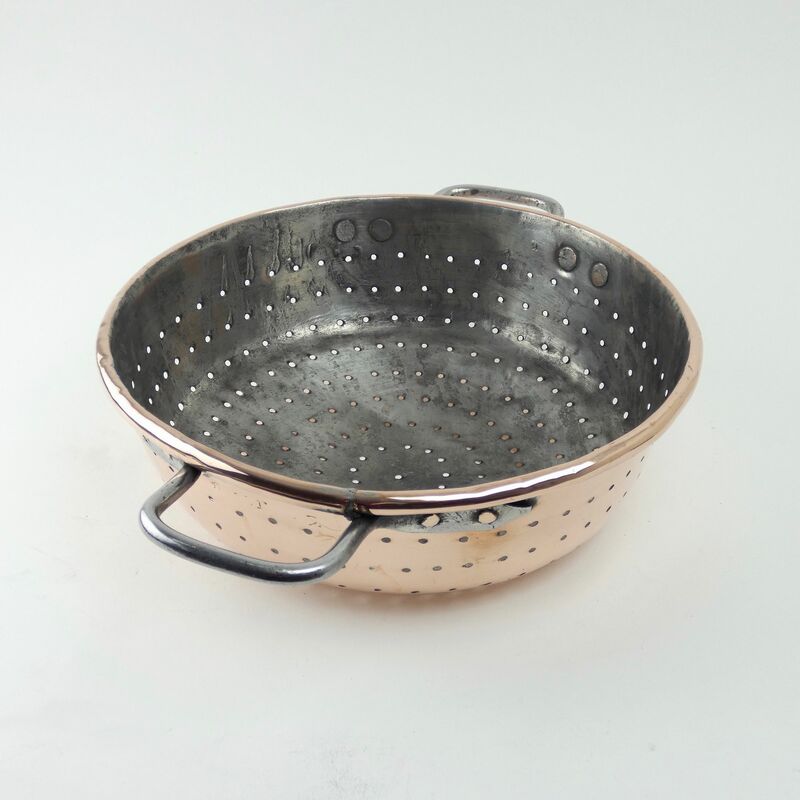 It has fairly primitive steel handles and a wired rim and it dates from c.1830. The interior still has much of its tinning but it is worn through in parts. 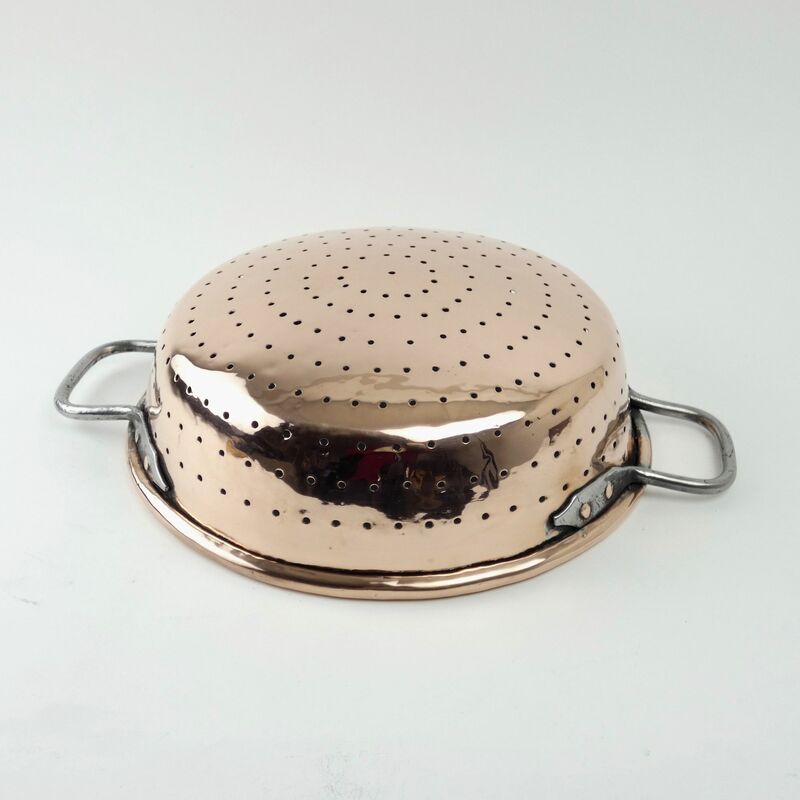 It is in very good condition and it is also a very decorative piece of copperware.